More and more people tend to get out easily. So electric bike foldable become they the best choice. 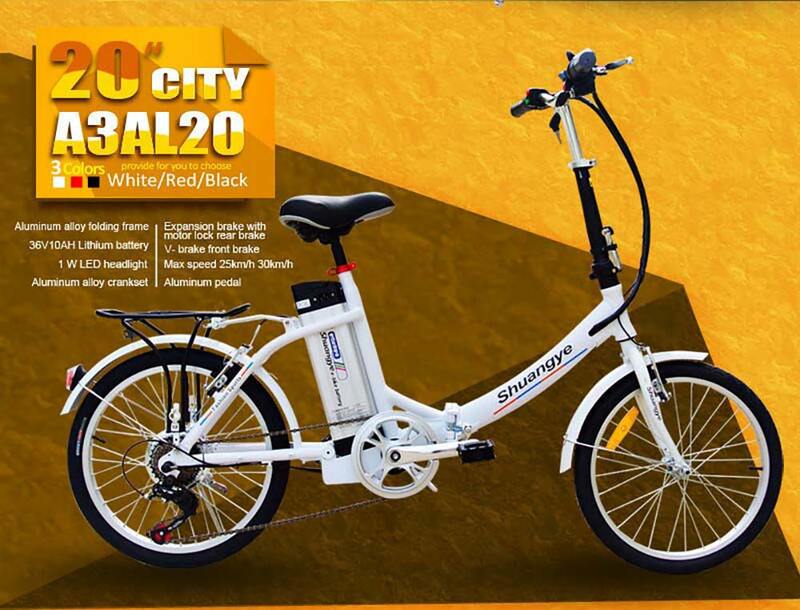 Shuangye electric bike foldable A3AL20 offer those who want to get out and grocery shopping easily. As a electric bike foldable, folding is it the biggest merit. You can fold it when you arrive destination or you do not want to ride. This electric bike foldable has a powerful brushless motor of 36V 250W which gives a boost of up to 25km/h. It also can allow you turn it into a non-electric bike foldable. The 36V 8AH lithium battery was installed beside the seat post. Under fully charged, the electric battery can work for 5-7 hours which it longer than other electric bike foldable. The electric bike foldable is constructed with aluminum alloy frame and the tires are 16 or 20 inches. Moreover, for your confirm safety and convenience, the electric bike foldable was design with different mudguards, reflectors and luggage carrier. So the electric bike foldable can carry large loads. 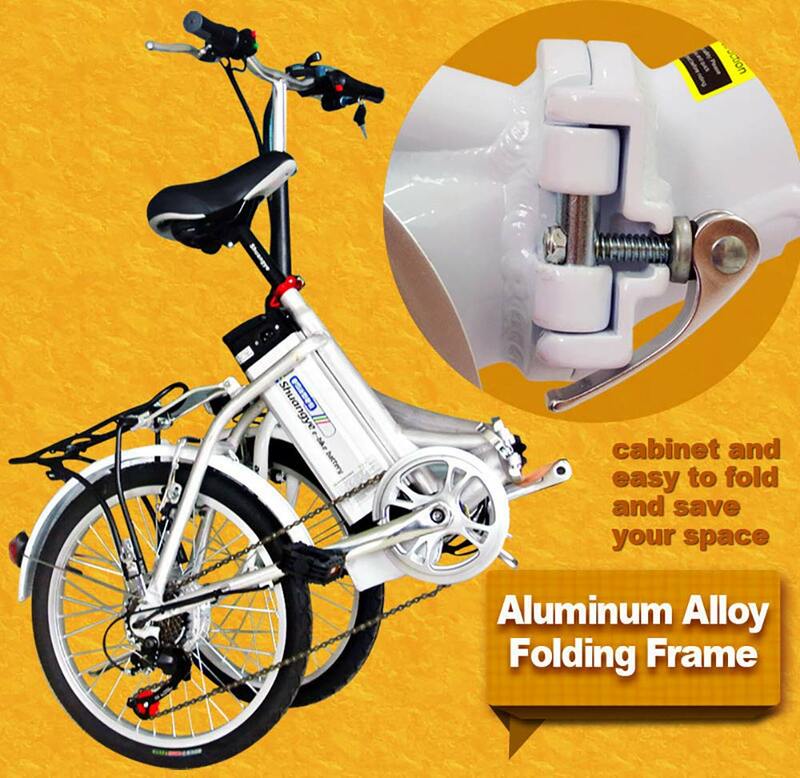 If you want to know more detail about electric bike foldable A3AL20, please contact us freely.